This is an expanded and updated article, based on 2011 posts in The Spy Command blog. With 2015’s SPECTRE, continuity is suddenly a major topic for James Bond films. The Sam Mendes-directed movie establishes continuity among the four 007 movies starring Daniel Craig. 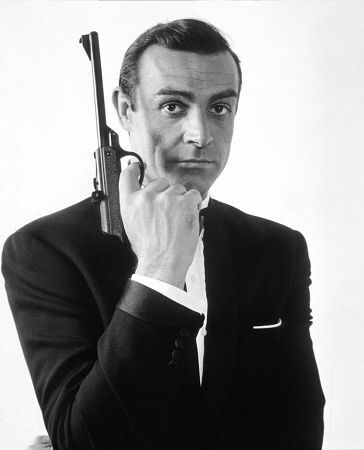 Such continuity wasn’t always present in Bond films, although some of the series produced by Eon Productions displayed connections with other entries. The series began anew with 2006’s Casino Royale, Craig’s first as 007. In many ways, the Craig films still made it up as they went along. However, SPECTRE did try to bring them under a continuity. What follows is a look at continuity over the 53-year (and counting) film series. IN THE BEGINNING: 1963’s From Russia With Love contains a few references to the events of Dr. No. It’s clearly established that the events of Russia take place a year or less than Dr. No, the first entry in the Eon series. Later, Bond arrives at the Istanbul airport. Director Terence Young stages the sequence in a very similar (but subtly different) manner as when Bond arrived at the Kingston airport early in Dr. No. All of this was probably meant to reassure the audience that despite the new face, it was still Bond. Whatever the motivation, dicector Peter Hunt, screenwriter Richard Maibaum and composer John Barry had hit continuity button hard. On top of that, Maurice Binder’s main titles had an “hourglass” motif showing the passage of time as well as (non-Sean Connery) clips from the five previous 007 films. THE ROGER MOORE YEARS: Roger Moore took over as Bond for 1973’s Live And Let Die. 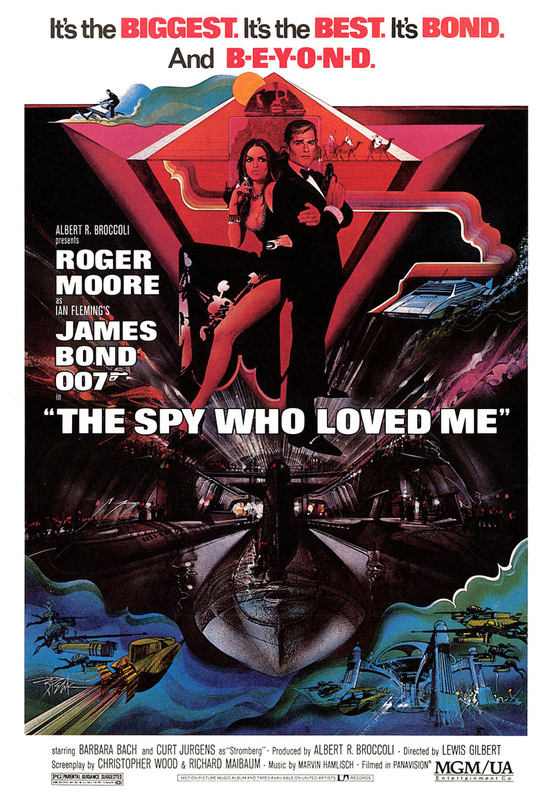 But there weren’t many references until previous 007 adventures until 1977’s The Spy Who Loved Me. In that film, Bond and Soviet Agent Triple-X (Barbara Bach) are showing off how much they know from each other’s dossiers. Triple-X one ups Bond by starting to talk about his late wife, presumably Tracy from OHMSS. Bond cuts her off, showing it’s still a sore subject. It’s the first time since OHMSS the marriage was explicitly referenced. For Your Eyes Only in 1981 takes the OHMSS continuity play one step further. In the pre-titles sequence, Bond visits Tracy’s grave (and her name is on it, so there’s no possible mistake). The tombstone says Tracy died in 1969, the year OHMSS was released. The epitaph is “We Have All the Time in the World,” the last line of OHMSS when a disbelieving Bond is mourning the loss of his wife, as well as the name of the main song from the film. What’s more, the script contained a reference where the (sort of) Blofeld in the film’s pre-titles sequence says this is “the 10th anniversary of last encounter,” which would match 1971’s Diamond Are Forever (Connery’s final film for Eon), where Blofeld was the villain. The line was snipped in final editing; Kevin McClory claimed ownership of Blofeld so Eon opted to take out the explicit reference. That decision was too late for Marvel Comics, which included the line in its comic book adaptation of the movie. 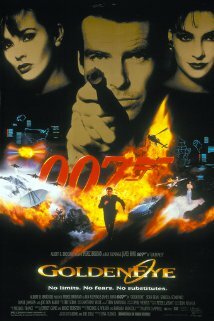 THE BROSNAN ERA: GoldenEye, Pierce Brosnan’s 1995 debut as 007, marked the end of a six-year hiatus. It also marked the start of a change in the attitude of of the makers of the James Bond film series toward continuity. Eon Productions, the maker of Bond movies, opted to use fan conventions in 1994 and 1995 as a marketing tool. The latter event, in New York City, a few days before the film’s premier in that city, included the chance for Bond fans to ask questions of Eon personnel, including producer Michael G. Wilson. During the session, Wilson discussed continuity. He said the Bond films weren’t one big film series but rather a “series of series.” It was an interesting twist, especially given that Wilson and Richard Maibaum had co-scripted 1981’s For Your Eyes Only, which had a pre-titles sequence that explicitly tied that movie to On Her Majesty’s Secret Service, even giving Tracy Bond’s date of death as 1969, the same year OHMSS was released. Then again, when you become boss, things change. Wilson and his half-sister Barbara Broccoli by this time were running Eon, with Albert R. Broccoli incapacitated by health issues. Cubby Broccoli had a “presenting” credit but wasn’t listed as a producer of GoldenEye and he died in 1996. Or did things change, continuity wise? Brosnan’s tenure ended with 2002’s Die Another Day, which featured a scene where Brosnan’s Bond while talking to John Cleese’s Q (Desmond Llewelyn died following a 1999 car accident) is in a storage area full of props from earlier Bond movies. Brosnan even asks if the Thunderball jet pack “still works” while throwing a switch activating it. It’s hard to say, given the scene was part of the film’s “Where’s Waldo?” motif of providing homages to previous Bond movies throughout the story. 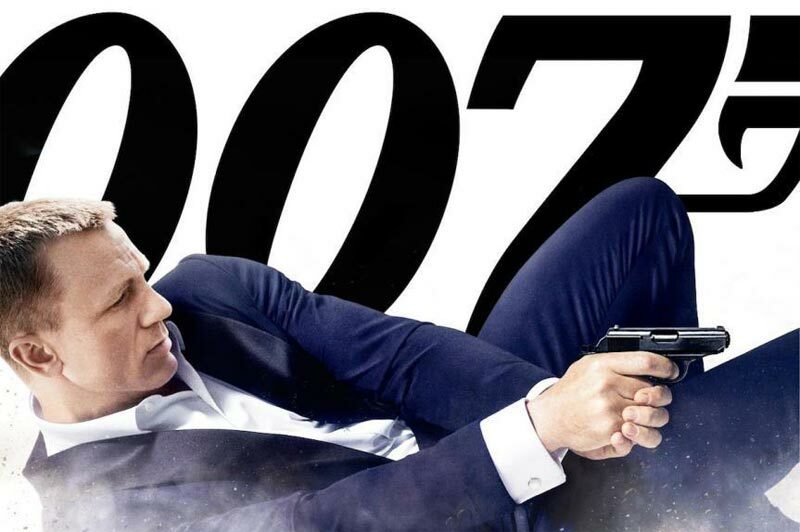 TOTAL FILM: So… Bond is our Reboot Of The Decade. BARBARA BROCCOLI: Well, that’s wonderful! Thank you very much. The movie had no Moneypenny, no Q and Bond didn’t drink his martinis “shaken, not stirred.” The only holdover from the Brosnan era was Judi Dench’s M. There was no attempt to explain it, but one could assume it’s another fictional universe and she’s merely a different version of the same character, similar to how Marvel and DC comic books established there are similar versions of characters in different universes. Casino Royale also got some of the best reviews of a Bond film in decades. So for 2008’s Quantum of Solace, fans were told it would be the first *direct* sequel, and the story would begin within hours of the end of Casino. Except….well, the continuity still got muddled. In Casino we saw references SUCH AS THIS ONE to the film taking place in 2006. But in Quantum, we saw references SUCH AS THIS ONE that it was now 2008. Nor was that all. At the end of Casino Royale, British agent Mathis was being interrogated as a suspected double agent. In the “few hours later” Quantum, MI6 had already bought him a villa as a make-up present AND he’s already moved into it. MI6 has apparently moved as well. At the very least, M has a new office. It sounds like this is being picky. You could argue, for example, that Quantum had a new production designer after Eon opted not to bring veteran Peter Lamont. The counter-argument: Eon managed to keep M’s office looking about the same for the first 25 years of the series, despite having different production designers/art directors (Ken Adam, Syd Cain, Peter Murton and Lamont). Quantum director Marc Forster and production designer Dennis Gassner wanted their own look and they got it. In 2012, along came the 50th anniversary film, Skyfall. The movie didn’t reference Quantum, Mr. White or much else from the two previous films. However, there was one notable prop that caused the viewer to remember the early Bond films. That would be the Aston Martin DB5. In Casino Royale, Craig-Bond won a DB5 car from a secondary villain in a poker game. However, that car had left-hand drive. The Skyfall DB5 has right-hand drive and has the same license plate as the Goldfinger DB5. For the record, you can’t just move a steering wheel from one side to the other. Such a project would cost tens of thousands of dollars, involve installing a new transmission and a lot of other work. In real life, director Sam Mendes wanted the car to be the Goldfinger car. He was the director, so he got his way. Mendes, enabled by screenwriters John Logan, Neal Purvis, Robert Wade and Jez Butterworth, opted to tie the Daniel Craig films together with SPECTRE. This appears to be Logan’s idea, as he was hired to write SPECTRE (as well as Bond 25) in the fall of 2012. The move was announced in November of that year shortly after Skyfall arrived in theaters. In 2013, MGM and Danjaq (Eon’s holding company) got back the screen rights to SPECTRE and Ernst Stavro Blofeld from the Kevin McClory estate. It was only a matter of time before SPECTRE would make a return to Bond. It turned out to be sooner than later. In a way, SPECTRE inter-connects the Craig films the way Terence Young made From Russia With Love inter-connect with Dr. No, only bigger. However, some critics objected to this. 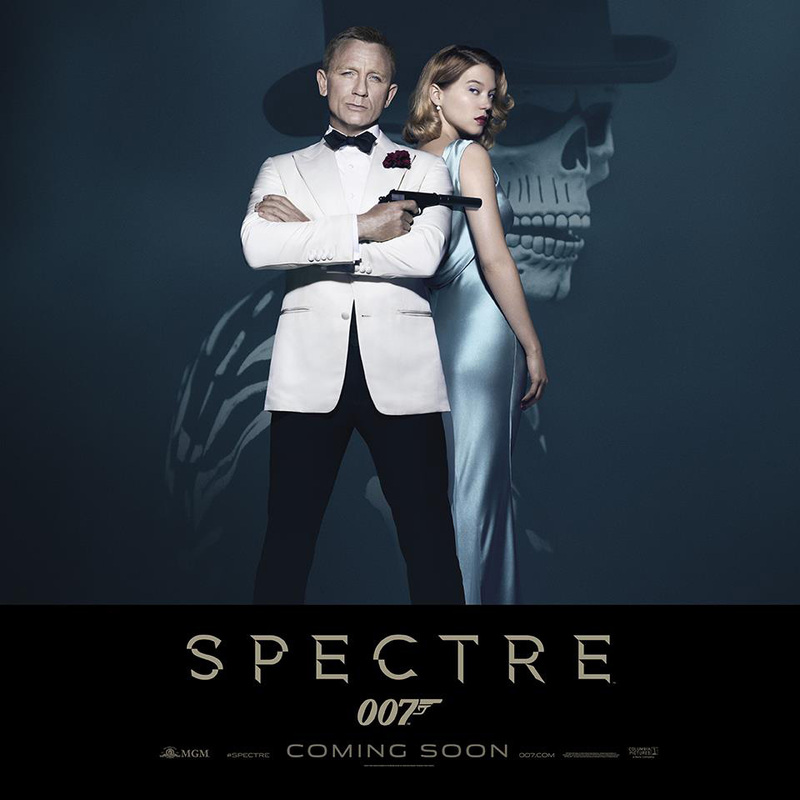 DAVID EHRLICH OF ROLLING STONE wrote SPECTRE was too much like the inter-connected super hero movies from Marvel. And then (Bond) met Tony Stark. The Big Bang of the Marvel Cinematic Universe proper, 2008’s Iron Man ushered in an age when even the biggest studio blockbuster could function like an episode of a network TV show, as concerned with advertising the next edition as they were with establishing a solid conflict for the one in progress. It’s hardly surprising that Spectre — the very title of which is synonymous with serialization in the Bond mythos — bends over backwards to contort the Daniel Craig era into a coherent quadrilogy, as though these four films had always been intended to function like a discrete run of comic books that branches out from its core property. But just because something works for Marvel doesn’t necessarily mean that it works for everyone. It remains to be seen how audiences react to all this. Whether or not Eon was influenced by Marvel, in a lot of ways the Bond film makers have gone back to Terence Young and From Russia With Love.